Sorry – been on semi-holiday for past several weeks and haven’t been posting the toons. 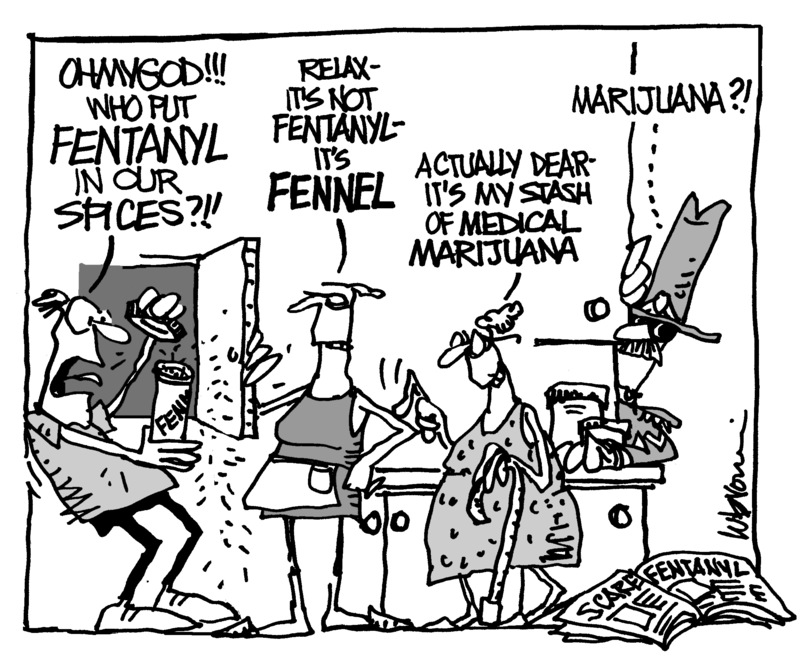 The first is about the fentanyl scare throughout BC and possibly less-freneticly, across N America. Fentanyl IS a horrible drug, people ARE dying from it. But far, far more drug deaths are still caused by all the usual suspects. And PR cops are still busting the local medical weed shop. Jeez, move on guys. 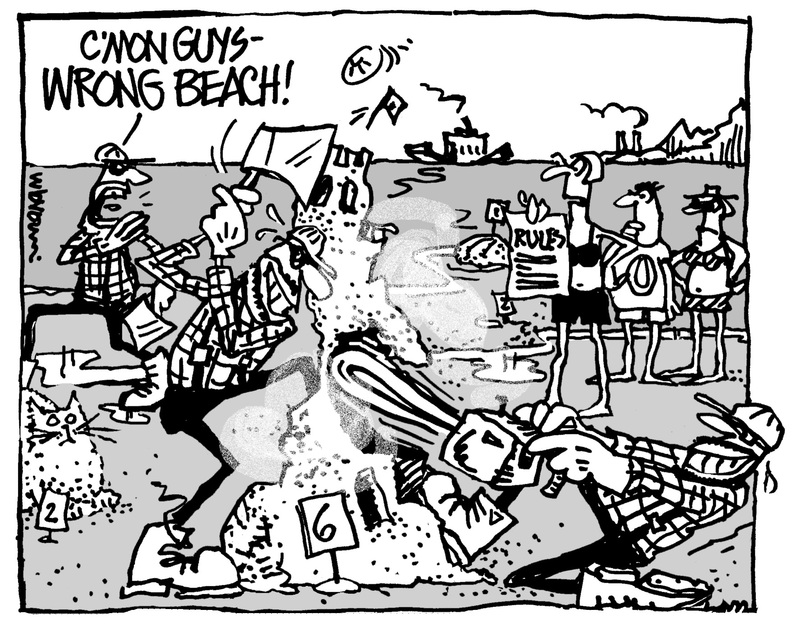 This week’s toon is about the upcoming Logger Sports (today! Yes, I’m going! it’s the noisiest, coolest, scariest competition – loggers from all over the world compete in this thing and it hasn’t been held here for the past decade as volunteers were burned out – so it’s a big deal. TSN covered the last 3 years it was held.) and also Texada Sandcastle Weekend (YES! I’m going!! So fun! ).